Since 2006 I offer tailored Therapeutic Massage and Bodywork in Guilford, CT.
My knowledge from 15 years of experience as a Physical Therapist in Germany allows me to better understand the individual needs of each client. From 2010 to 2013 I have taught Sports massage and assessment at the Connecticut Center for Massage Therapy. I have been maintaining my Massage and Bodywork practice for the last 12 years with many returning and regular clients of all ages. In my invidually tailored sessions I use a combination of Myofascial release (J. Barnes), Swedish and Deep tissue techniques, Sports massage and stretching, as well as Neuromuscular Therapy, Reflexology, Cranialsacral Therapy and Acupressure. The first session is often longer and includes an evaluation and health history in order to address the specific needs of my client and to accomplish a better outcome and lasting results. My approach of bodywork is rather gentle, still effective and also relaxing. For some clients it can be helpful to discuss posture alignment, stretches and exercises. For many years I have been working with various clients of all ages who have suffered from health conditions such as sciatica, arthritis, scoliosis, frozen shoulder, rotator cuff tears, neck and back injuries, etc. Other clients have found relief in recovery from surgery or accidents. In addition I also offer Prenatal and Pediatric Massage and I teach Infant massage to new parents. 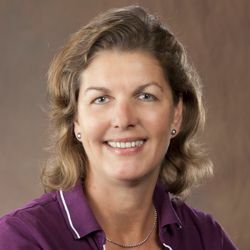 Ingrid Staecker, LMT, is a member of the American Massage Therapy Association (AMTA) and is Board certified with the NCTMB.